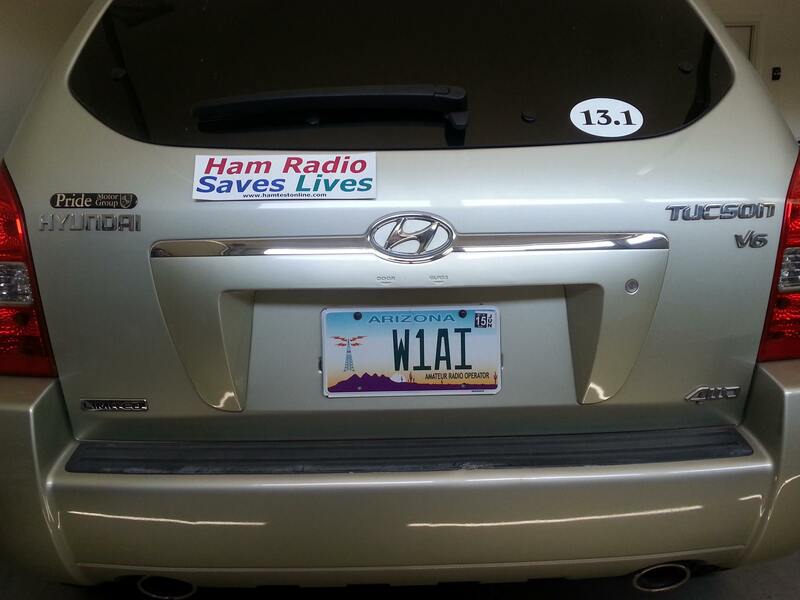 In order to show our support for ham radio, and of course to call attention to our website, we're giving away our popular 11 1/2" × 3" Ham Radio Saves Lives bumper stickers (while supplies last). Write "free sticker" on the back of either envelope. The mailing weight is slightly less than one ounce, so a single USA 55 cent or First Class “forever” stamp is sufficient for addresses within the U.S. If you need 2 stickers, write "2 free stickers" and add 15 cents postage for the additional ounce. Sorry, we do not ship these outside of the U.S. The number of active VEs on your team. The average number of persons taking exams at your sessions per month. Again, we do this as a form of advertising, so you must make our flyer available to everyone who takes a bumper sticker. The approximate number of active club members (attending meetings, special events, etc.). Then date and anticipated number of attendees of your upcoming hamfest. When you give out the bumper stickers, also make our flyers available to the recipients. Put a link to us on your club website, perhaps on a "new ham information" page, or similar. Here's how to link to HamTestOnline. No, we will not sell you the stickers. If we did, we'd have to collect sales tax and report it to the government, and it's just not worth the hassle. If you like the free stickers, we hope you will take the time to become familiar with our website and "talk us up" if you like what you see!